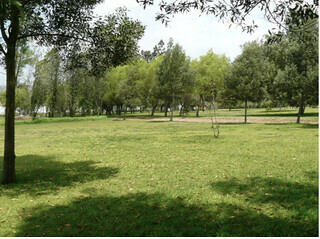 Cotacachi – Unique, very large garden property in the center of town. Perfect land to construct a quality home development with municipal designated building use for multi homes on ¼ acre or smaller parcels. 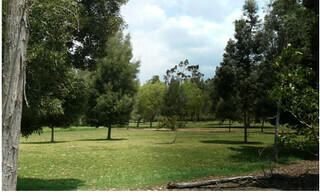 A very rare 4 acre property with beautiful grounds in the most exclusive neighborhood of Cotacachi. 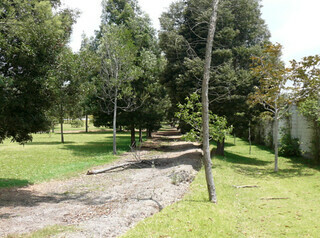 Hundreds of native species trees including avocado trees. 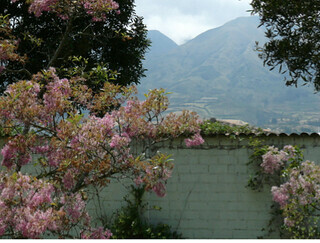 In the beautiful mountain village of Cotacachi a prime piece of land has just become available. If you are looking for DEVELOPMENT land for the Expat market on which to build your dream home(s) then you are duty-bound to consider this property, one of the prettiest pieces of land in the Ecuadorian Andes. This 4 acre (16,000 square meter) property has more than two hundred native-species trees and is blessed with spectacular views to two dormant volcanoes, one that has a peak often dusted with snow. An eight to ten foot wall surrounds the property. Of course, there are other pretty pieces of land around Ecuador but this piece of land has a LOCATION that is ABSOLUTELY UNIQUE. This property is bordered by La Mirage, the which has been the ONLY Relais and Chateau standard Garden Hotel and Spa in Ecuador. Imagine that .. take just a short stroll around the property and you could be indulging yourself in a luxurious day-spa treatment or enjoying an Ecuadorian/French cuisine dinner! 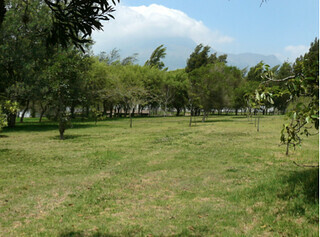 I can guarantee there is no other similar piece of land for sale in Ecuador that has this quality of location. Other neighbors include the first gated community built for foreigners in Cotacachi, 30 adobe houses, with exquisite designs. Another neighbor has built a 1,800 square foot minimalist design home that wouldn’t be out of place in an architecture magazine, and then another neighbor has a 4,000 square foot home with an adjoining private art gallery. 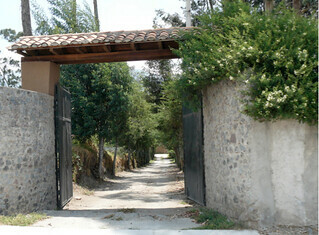 The property really is within a 10 minute walking distance of the main street of Cotacachi. Beautiful paths to stroll around. Only a wall separates this property from the grounds of a 5* Hotel-Spa, La Mirage. To the west is the first gated community for expats in Cotacachi, the prestigious San Miguel. Mount Cotacachi … and …. ….. mountain views to the north. Extensive flat areas suitable for single home construction or multi-home development.